​so you want to adopt a cat? -If you currently have animals (inside and outside) not up to date on vaccinations or spayed/neutered, please provide more information as to why. ​-We understand underlying health issues may be the reason pets aren't up to date on vaccines or not spayed/neutered. We would require this information be provided through your vet reference(s). -If you have owned pets in the past 15 years but no longer have those pets, please provide information on their names and the vet they have seen. ​-If you have moved from out of state or changed vets in the last 15 years, please list ALL vets you have used so we may check those vet references. -The more information you provide on this application, the less likely there will be a delay in processing your application. Incomplete applications may also not be processed. 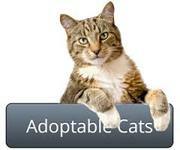 -Sparkle Cat Rescue is all-volunteer (zero paid employees), and foster home based. We do not have a facility. ​-We will try to process your application as soon as possible and set up a meet n greet once your application is approved. ​To expedite your adoption application, please be sure to provide as much information as possible. PLEASE NOTE: INCOMPLETE APPLICATIONS MISSING PET/VET HISTORY (if you currently have, or previously had pets) & PERSONAL REFERENCE CONTACT INFORMATION WILL BE DELAYED OR MAY NOT BE PROCESSED. PLEASE BE SURE TO INCLUDE VET HISTORY OF ALL PETS (DOGS, CATS, ETC) YOU HAVE HAD AND THEIR VET HISTORY FOR THE LAST 15 YEARS. IF YOU LIVED IN A DIFFERENT CITY OR STATE AND YOUR PET HAD VET CARE AT ANY VET, PLEASE PROVIDE ALL VET CONTACT INFORMATION AND PET NAMES. By submitting this application electronically, I certify the information I have provided is correct, and further understand that Sparkle Cat Rescue may refuse to adopt to any applicant for any reason. Sparkle Cat Rescue is not obligated to discuss reason(s) for denial with applicant. ​the application will not submit. Please review all of your answers BEFORE hitting submitting. Please be sure you have read ALL guidelines on our adoption policies before completing the adoption application.